Hot Christmas Deal: Personalized, Embroidered Christmas Stockings for $7.99, Free Shipping! Note: The original embroidered stockings are no longer available, but I have an alternative for you to check out! 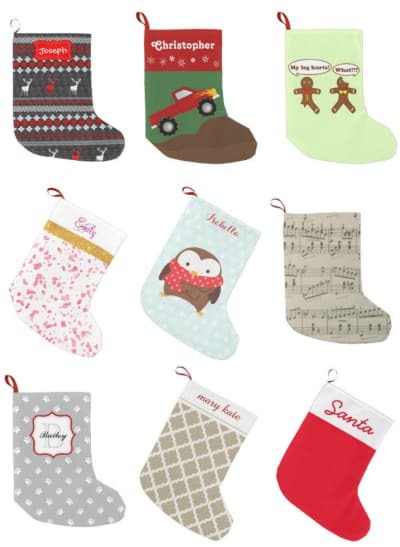 If you have your heart set on personalized Christmas stockings, Check out Zazzle's selection! I love this deal! For a limited time, you can order personalized, embroidered Christmas stockings for your entire family for just $7.99 each. Shipping is even free regardless of how many you order! These stockings are usually $15 and shipping is extra. So you're saving 47% off the regular price and getting them shipped for no charge! 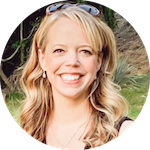 You can choose from a few different fonts–I had fun designing customized stockings for my husband, my little ones and my dog! If you like looking through all the designs before making your final choice, try using all capital letters–it looks nice with a few of the fonts! I'm pretty sure all kids love anything with their name on it, and a special stocking could be a treasured keepsake for years to come. I still have a special Christmas stocking with my name embroidered on it–my Grandma gave it to me when I was really little and Santa still fills it at my parent's house every year! This offer is only valid for a limited time, so order one (or more!) while the deal is going on! Thanks so much! We have a 3-month-old and I wanted to get personalized stockings for our first Christmas as a family, and I was looking at the stockings at Pottery Barn but I got 3 stockings for what I would have paid for 1 at PB! I hope the quality of these stockings is good!